FAQ1: Why would you need to have a marketing campaign? The purpose of marketing is to make people aware of your organization, its products and its services. No business can exist without it! To raise awareness of your organization, products, brand or social objectives. To recruit individuals or communities to your project. To recruit partners or associates. To fundraise for a specific project, event or cause. FAQ2: What are the Do’s and Do Not’s of any Marketing Campaign? Get your brand right.The image must be memorable, colourful and fit with your social objectives. Make use of friends, partners, friends of associates and so on. They will multiply any marketing efforts you make, getting to a target audience. Word of mouth is powerful! Plan carefully – First define your objectives, why, what, where, who and how are you going to do things. Then write a plan of who will do what by when (an Action Plan). Monitor your progress – if it is not working, change your approach and action. Make sure you are set up to manage the responses you receive quickly and professionally. Implement a campaign without proper research or without planning or testing on a friend or friends or colleagues. Create a campaign without a system/process to follow up any responses. Just talk about how good you are – focus on your target audience. Make statements or offers that are not true. Start a campaign unless you are ready to see it through to the end. Remember: It takes months and years to build a reputation and only minutes to destroy it. FAQ3: What are your 10 top tips for successful marketing in the non – profit sector? Understand and be passionate about your social purpose. Describe customer benefits in all your marketing. Make your marketing efforts colorful and pleasing to the eye. ‘’Kiss’’ it ‘’ – Keep It Sweet and Simple’’. Repeat it – Repetition is the key to success. Make your campaign focused and specific for your target market. Make small changes to your campaign to attract a different audience to your work – remember we do not all think the same. Repeat your campaign before considering it as a success or not. FAQ4: What do you need in order to start a Marketing campaign? First of all, it is necessary to know your own organisation to be able to evaluate past marketing activities and define future steps. With the help of the SWOT Analysis Matrix https://www.mindtools.com/pages/article/newTMC_05.htm or http://www.businessballs.com/swotanalysisfreetemplate.htm you can carry out a self-assessment to identify the Strengths, Weaknesses, Opportunities and Threats faced by your organisation. Strengths and Weaknesses exist within your organisation whereas Opportunities and Threats are external to your organisation. It is also useful to have an understanding of the External Environment in which you operate, PEST or PESTLE Analysis http://www.quickmba.com/strategy/pest/ or http://www.businessballs.com/pestanalysisfreetemplate.htm or https://www.mindtools.com/pages/article/newTMC_09.htm can help you consider Externalities from the point of view of Political, Economic, Social and Technological change and influences. To this can be added Legal and Environmental factors to create the more comprehensive PESTLE Analysis. Second stage: It is always a good idea to ask your colleagues/members about your organisation: After you gather some specific marketing related information about your organisation and its activities you may get some new ideas about how your organisation could be presented as more attractive and efficient to the public.. It could be very interesting to know how other people see your organisation. Third stage: The competitor analysis can help you to gather some information about your competitors, which can be useful for your own organisation. FAQ5: How do I get started on my Marketing campaign? Before you start to define your goals, strategies and develop your marketing plan, here are some recommendations that also have to be taken into consideration. Check the mission and objectives of your organisation. Are they both clear and easy for others to understand? Does the mission properly reflect the ideas and the objectives underpinning the work of your organisation? Write down your mission and objectives and give it to somebody who does not know your organisation well. Ask him/her if he/she can tell you what is their impression about your organisation after reading your mission and objectives. Does your organization have a recognizable, unique and sustainable brand? If you do not have a common colour or a combination of colours which you can use on your website, in social media, in the layout of your newsletters and other forms of communication. Try to find one or a maximum of three colours, which you will use in the future to define your visual appearance. FAQ6: What is the Internal and External Market of a Social Business and how can I reach them? Every organisation strives to build up a huge number of ‘active’ members. Active members are motivated, open minded to your ideas, creative and supportive. It is a mistake to think, that marketing is important only for the external target, for sponsors, sales or for the acquisition of new members. Any organisation stands or falls with its members. For this reason it is very important to pay attention to the members of the organisation…. These are your INTERNAL MARKET. Free time activities – You can motivate your members through common excursions or events, which are internally organised by the organisation, e.g. a barbecue party, summer festivals, family celebrations, sport activities, etc. Common activities – The corporate feeling is boosted if members are involved in planning, organising and implementing of public events. Reward for Members – It is important to reward highly engaged volunteers or sponsors for their voluntary work. A short presentation of all these activities on your website, in the social media or in your newsletter/gazette underlines the personality of your organisation in the perception of the public. Word-of-mouth (WOM) promotion – which means passing of information from person to person. What? What are you going to do to promote your organisation. what is your message? Who? Firstly, by creating your communication strategy, please be aware of who you want to speak or who you want to reach. When? Plan well in advance. Remember the 4 Ps .. Planning Prevents Poor Performance. How? How do you want to communicate your message? Which channels do you want to use to disseminate the message? To consider the points you want to deal with in the forthcoming months, we will use the technique of Lotus Blossom http://creatingminds.org/tools/lotus_blossom.htm or http://5by5design.com/advice/lotus-blossom-technique. This is similar to a mind-map, but the Lotus Blossom technique focuses the power of idea generation on your areas of interest and can help you to think about a broad collection of ideas and potential solutions to your challenges. A Marketing strategy is strategically linked to the vision of your organisation and it is an explanation of the goals you need to achieve with your marketing targets. When it comes to marketing, we must always identify the “what” (marketing strategy) and then dig into the “how” (marketing plan). FAQ9. What is a Marketing Plan? 2ndstep: Define the key initiatives that you want to do step by step. FAQ10: What are the cost effective ways using the Internet to market my organisation? FAQ11: Why should I create a website? FAQ12: How do I get a Domain? The Domain is the name given to IP addresses used for interaction between computers in order for end users to access the site easily. Every website has a domain name, e.g. http://www.ngogrow.org/. These can be acquired through several addresses; e.g. http://www.domain.com/, http://shop.alpharegister.com. FAQ13: How do you create a Website via WordPress? While creating a website via WordPress, it is necessary to download infrastructure files first. You can download up-to-date files by clicking “Download WordPress” button at http://wordpress.org/download address. Finally, the site address is written into the browser and access to the site is provided. Up to this phase we acquired Domain and Hosting, integrated into the site with WordPress via FileZilla and made ready the site to be published. In the next steps we’ll investigate selecting appropriate themes for our site and uploading content. There are millions of themes for WordPress. The most reliable and supportive portal for acquiring themes is https://themeforest.net/. We can buy themes through this portal and integrate with our site to make it ready to use. FAQ14: How do I use social media effectively? Who are you? What are you all about? What are you trying to say or sell? Five guidelines to using social media …..
Eleven guidelines to using social media …..
Or if you need more… 30 guidelines to using social media …..
FAQ15: How do you use Facebook? FB can be used to blog, to promote your organisation, to advertise special offers, to share your new work, broadcast success, show pictures and marketing. FAQ16: How to create a Facebook Page? Following these steps you will be able to create your own page very easily. Check the box next to I agree to Facebook Pages Terms. Learn more about best post types for your Page. Speak in the first person in your posts – to add a personal touch to your Page. Build an online personality – people on Facebook want to connect with the individuals behind your organisation. Post regularly – people are more likely to engage if you stay up-to-date. It is increasingly important for non-profits to develop a unique cadence for an audience and message. FAQ17: How do I use Twitter? 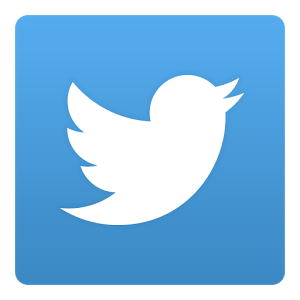 If you remember one thing after reading this, it should be this: reading Tweets and discovering new information whenever you check in on your Twitter timeline is where you’ll find the most value on Twitter. Some people find it useful to contribute their own Tweets, but the real magic of Twitter lies in absorbing real-time information that matters to you. FAQ18: How to start tweeting? Many users find it fun or exciting to contribute their own content to Twitter (you call this “tweeting”). If you’re one of them, here are some good ways to get started posting your own Tweets. People who are interested in what you have to say may follow you and they’ll see all the Tweets you share with them.